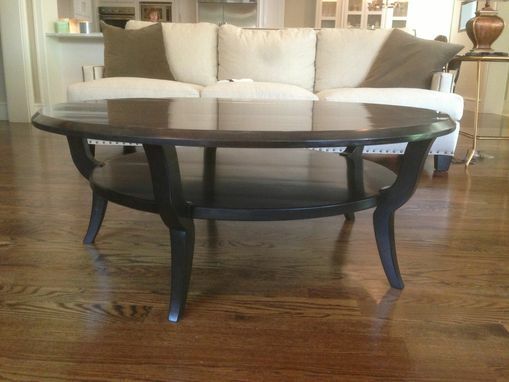 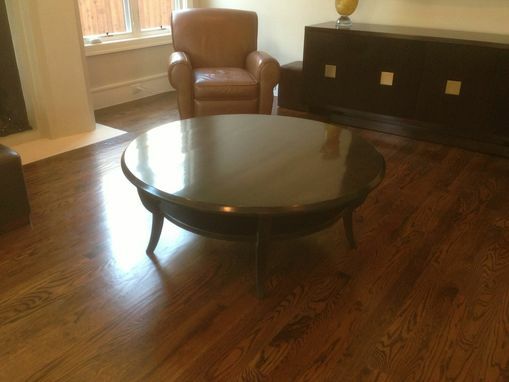 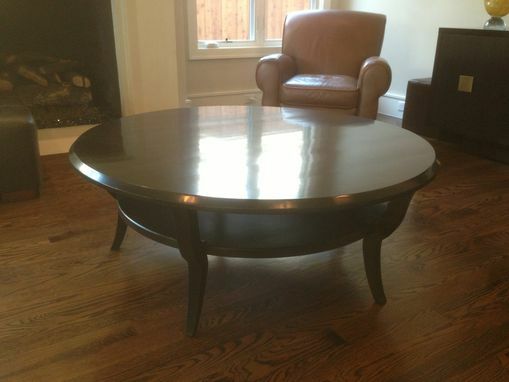 This is a solid maple round coffee table with a 1.5" thick top and lower shelf. The table has five evenly-spaced legs for a more elegant look. 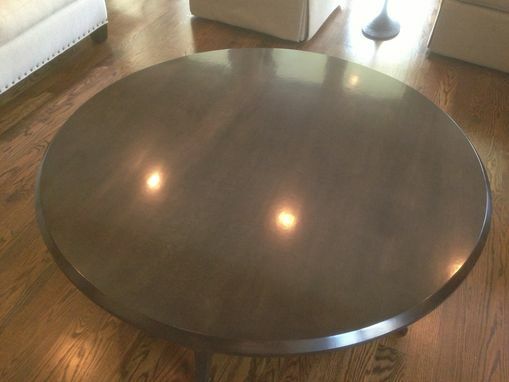 The top edge features a pronounced bevel.